The show, created and produced by Bruce Geller, ran for seven seasons from 1966 to 1973 and returned for two in 1988 before wrapping up. The Mission: Impossible film series, whose next installment Fallout will be released on July 27, is a consummately modern product in the same league as the James Bond or the Jason Bourne series. Helmed by Tom Cruise, the films combine high technology with improbable storylines to fashion a slick visual treat that is equal parts thrilling and bewildering. The films are inspired by the television show of the same name. Created, directed and produced by Bruce Geller, the show ran for seven seasons from 1966 to 1973 and returned for two in 1988 before wrapping. Unlike Cruise’s Ethan Hunt, the leader of the pack here is James “Jim” Phelps, played by the suave Peter Graves, who was the only one from the original cast to return for the two-season reboot. Thirty years separate the television show from the first M:I film, and the differences show. Apart from the technological milestones that are natural for such a time span, the show’s politics too belong to a bygone era. 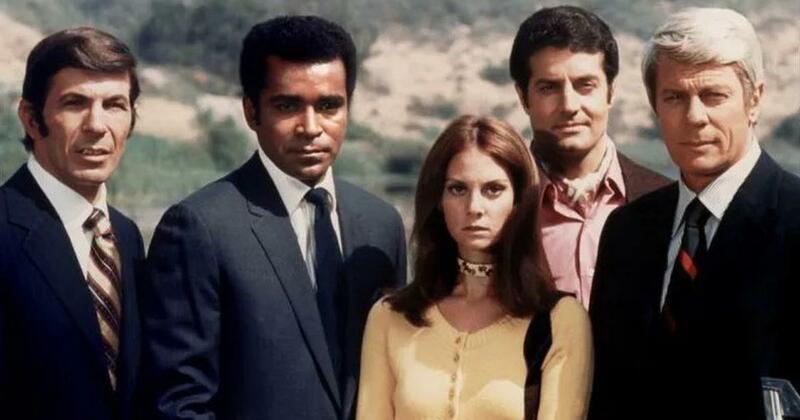 From tinpot dictators armed with Soviet missiles to threats of an imminent Communist invasion, American fears of the 1960s are adequately reflected on the show. Yet, the show was never really political, and the plot was merely a showcase for a stylised representation of the undercover life. With its sharp suits and shaper haircuts, the show represented the keenest fashion sense of its time. What is more, the most memorable bits have stood the test of time. Notable among these is the instantly recognisable theme tune by Lalo Schifrin, since upgraded with computer-assisted finesse. Then, in the very first scene of the first episode, Phelps (not Graves, who joined from Season 2) is in a record shop where he is handed a disc that, naturally, self-destructs after delivering its message about his next mission. Phelps builds a crack team of experts for the Impossible Mission Force. Rollin Hand, played by the Oscar-winning Martin Landau, is the master of disguise and tricks. Willy Armitage (Peter Lupus) is a towering physical presence, as comfortable jumping buildings as socking enemies of the state. Barney Collier (Greg Morris) is the brains of the operation, parroting nerd-inflected jargon about gadgets that is almost quaint in retrospect. Finally, there is Cinnamon Carter (Barbara Bain), the only woman on the team. She is the soft foil to the harder tasks carried out by the others. The films have done a much better job of treating the women, with Ilsa Faust (Rebecca Ferguson) from Rogue Nation, say, doing much more than flirting with villains to help the men nab the bad guys. The series matured over time and the reboot had more substantial storylines for its women but, failing to recapture the glory of the original, it did not leave a mark. The original Mission: Impossible signature tune. To be sure, the films have also updated the men’s roles, with Cruise’s Hunt as the strategic player who also possesses the courage to undertake death-defying stunts, including repeatedly entering flying machines while they are in flight. Even so, as in the TV series, his team, comprising Luther Stickell (Ving Rhames), Benji Dunn (Simon Pegg), and William Brandt (Jeremy Renner), is a well-adjusted mix of differing personality types and skill sets. The films are also similar to the show in that there is little focus on anything beyond solving the case to hand. Landau and Bain were on the show for three seasons and while the pair smouldered, they were too busy saving America to take their relationship to its logical conclusion. This is different from, for example, the Bond films where the protagonist finds time to indulge his romantic side even as the clock ticks ominously. It may not appear so in our tech-infused world but the M:I television series, along with its contemporary cousin Star Trek, was ground-breaking for visualising the technological advances that were to transform the twentieth century. Latex masks from the show have given way to 3D-printed silicones in the films, hefty portable devices have disappeared in favour of handheld gadgetry, and remote-control cars have been replaced by dashboard-compliant vehicles. It is this finally, more than the bid to save the world, which makes the show the ultimate geek haven.